DJI Spark battery belt clip #3DPrinting #3DThursday « Adafruit Industries – Makers, hackers, artists, designers and engineers! DJI Spark is an amazing little drone – the only bottleneck is the less then 16 min. flight time with a single, fully charged battery (my advice: buy at least 3 batteries for enough fun!). 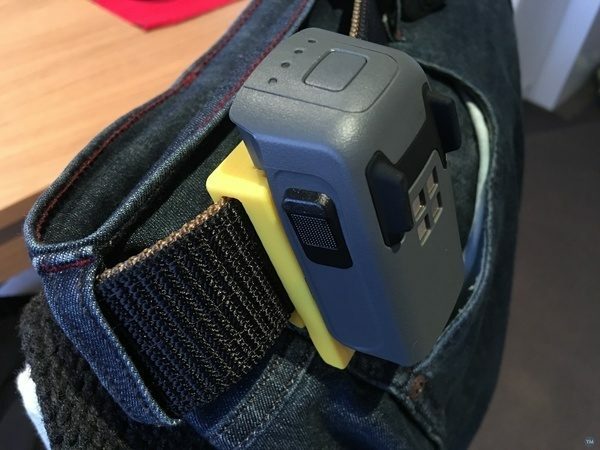 In order to shorten the battery swapping time I designed this little belt clip which keeps spare batteries as close to your hand as it is possible!